The Map is Not the Territory: "Its math skills are the wonder of the land"
Beautiful! 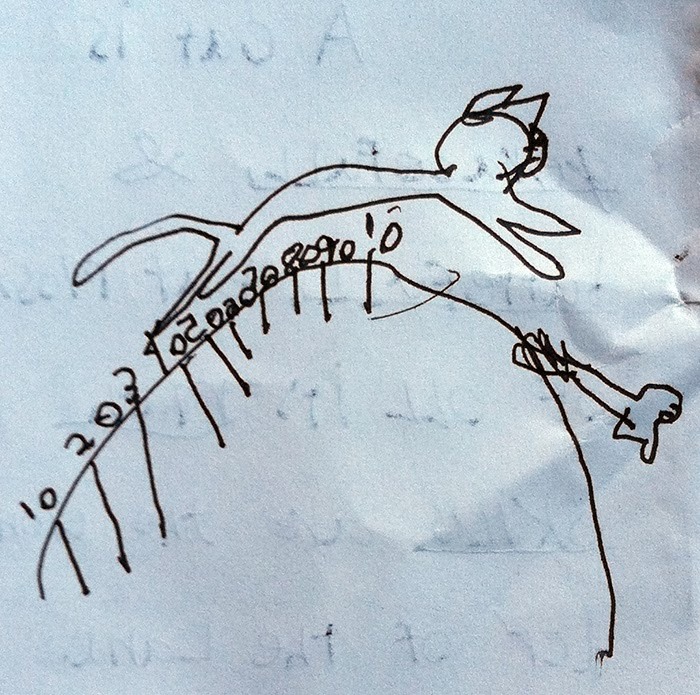 Has your daughter yet encountered Penrose the Mathematical Cat? The picture reminds me of him very much.